You are beautiful just the way you are. 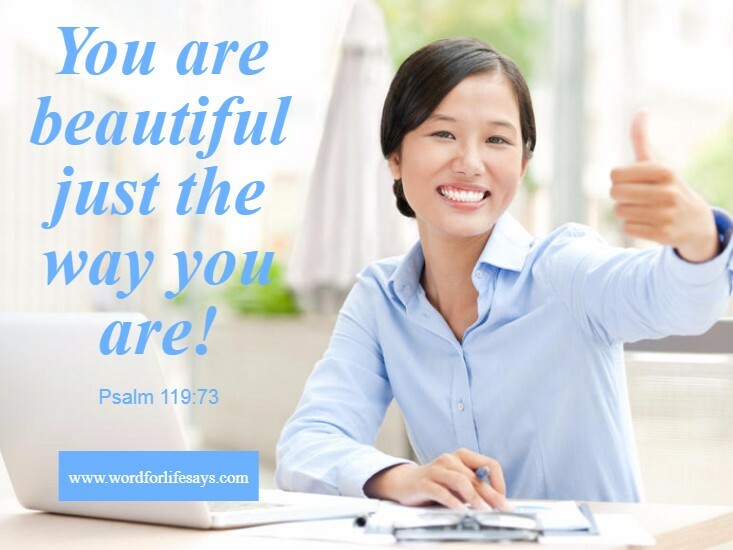 You are a created masterpiece in the hands of the Almighty. “Your hands have made me and fashioned me . . .” Psalm 119:73, NKJV. You are a designer original.